If you are like the most of us, your garage has lost sight of its’ original purpose. And no, that purpose is not a sanctuary to store all your rummage. Help your car reclaim its space with these tips on how to organize your garage. Not only are these methods easy and cost-friendly, but they’ll leave you with a garage you’ll want to brag about. Figuring out how to organize your garage can be a daunting task. 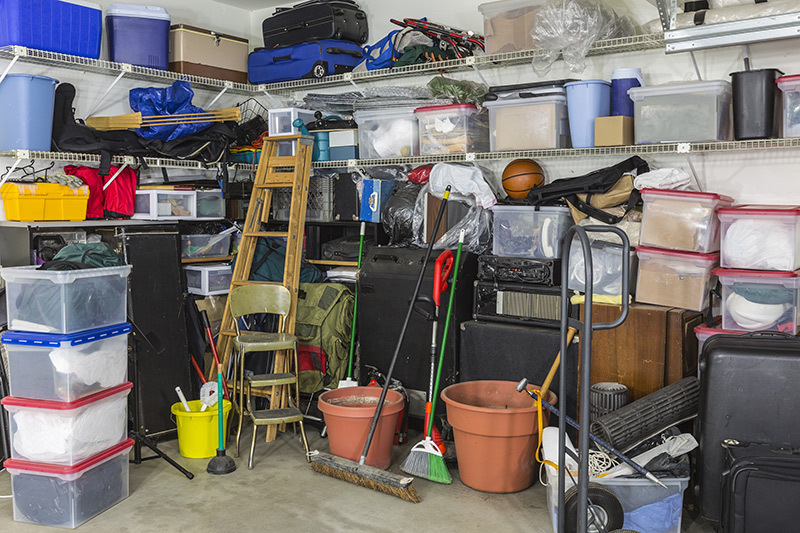 With dirt, dust, and clutter everywhere, garage organization may seem out of reach. However, often times the most difficult part of cleaning a garage is getting started. So step back, take a deep breath, and dive in. Go through your items and decide what to keep, what to throw out, and what to donate. Getting rid of clutter can be oddly satisfying, so when in doubt- throw it out. Odds are if you haven’t touched that old, dusty sewing machine sitting on the shelf in five years, then it is time to move on. There are many garage accessories that can help you organize your garage. For instance, add a set of old school lockers to your garage and designate one for each member of the family. Encouraging everyone to store their garage items in a personal locker is a great way to avoid unattended items. They’re a great garage storage device for families of all sizes. 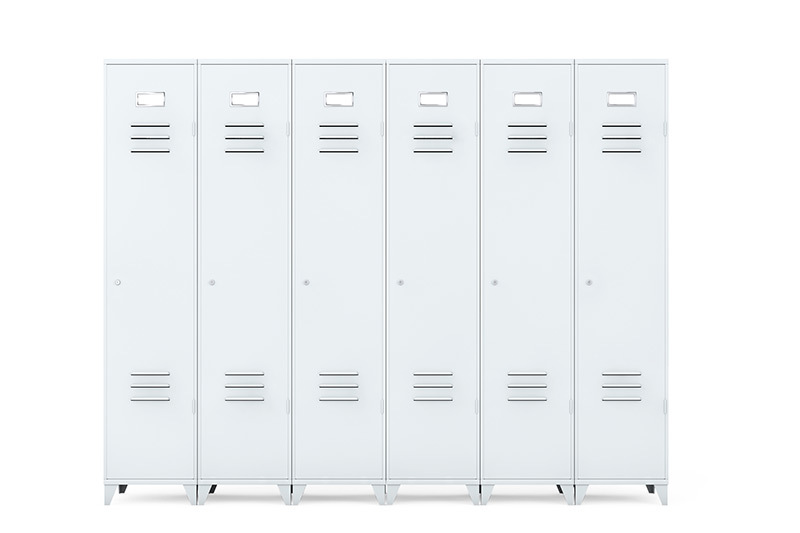 Lockers can hold a wide range of items such as baseball bats, tennis rackets, golf bags and skateboards. You can also use them to keep dangerous tools locked away from a child’s reach. Installing lockers is a fun way to bring the feeling of a locker room to your own home that the kids will enjoy. No room for a mudroom in the house? Make your own mudroom surrounding the entryway to your home. Enforce the “no shoes in the house” policy and put in a shoe rack to efficiently store shoes without a muddy pile-up. Install your own coat rack to hang coats/jackets, hats, and umbrellas. You can even add a bench and a vibrant welcome mat for an added “homey” feel. Setting a mudroom up outside the home will save you some mopping every time someone enters. If you are wondering how to organize your garage in the most efficient manner, cabinets are the way to go. Cabinets are great for storing any and all miscellaneous items. Depending on the amount you install, you may be able to hide everything away from plain view. If woodwork is not your forte, cabinets can be purchased that are already built. They are relatively easy to install yourself and you can save a great deal by doing so. For extra points, save old jars from the kitchen to keep random nuts, bolts, and tacks in to further avoid clutter in the cabinet. It is recommended to group the contents of the cabinets together based on similarity. Once your like items are grouped together in the cabinets, label each shelf for easy access. Labeling is key to ensure you can always find what you are looking for. In addition, labeling cabinets, shelves and drawers will help everyone in the family return items to their rightful spot. No matter the size of the garage, it seems like there is never enough space! What to do with all those seasonal items such as holiday decorations, camping gear, sports equipment and old odds and ends that you just can’t seem to throw out? With just a few plastic bins and some plywood, use the area above your cars to create your own overhead garage storage. You can easily create a ceiling storage system that will neatly store away items rarely put to use, while maximizing floor and wall space. Whether it’s bikes, snow shovels, garden tools or other larger items, fitting them all in the garage can be an intimidating task. When thinking about how to organize your garage, think vertically. Easily organize those heftier items by hanging them on the walls. Installing hooks is rather easy and utilizing those hooks to keep bigger items off the floor will create much more space for your car. Who says your garage has to be mundane? If you are looking to spruce up the place aesthetically, add a splash of color to your garage to liven up the space. Give your garage floors a bold paint job that would make your car proud to park there. Staining the floors is an inexpensive method to make your garage appear more organized and tidy. If you have garage steps leading up to your door, consider painting them a bright color. You can even stencil in a short message to anyone who steps over them. Not only does adding color liven up an otherwise dull space, it will help divert eyes from clutter. Parents, rejoice. Give your kids a wall they are allowed to draw on with a chalkboard painted wall. Chalkboard painted walls are a hip trend in homes, giving kids an artistic outlet while adding an interesting aesthetic. The garage wall is the perfect spot to try out chalkboard paint without giving up a prominent spot in the house. Paint over an empty wall in the garage with chalkboard paint and let your childrens’ imaginations fly. Chalkboard paint has many uses, as it is also an absolutely awesome way to label cabinets and drawers. Paint over the entire drawer, or opt to paint a small portion just for labeling purposes. Consider using colored chalk for a jazzy touch. 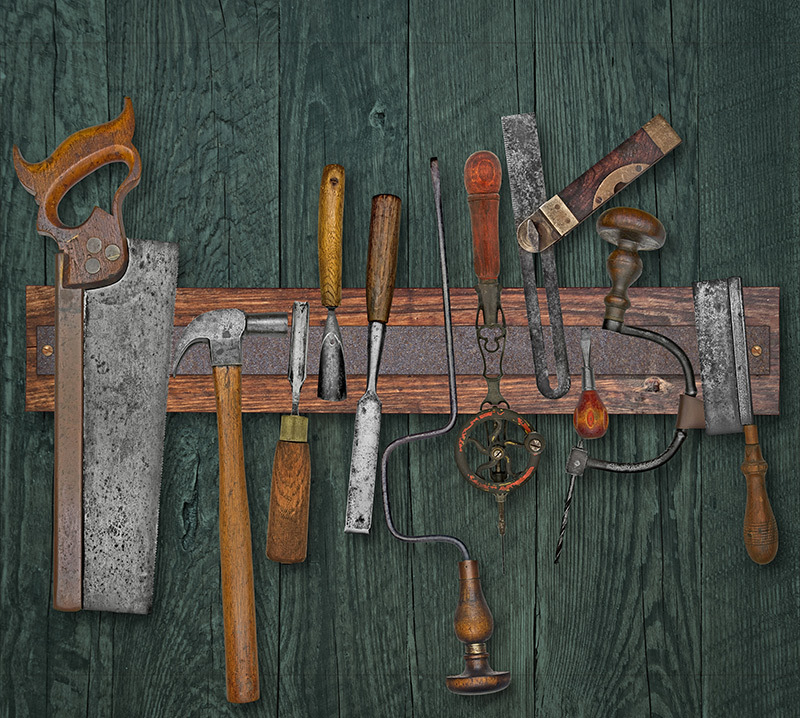 Toolboxes can be large and space-consuming. If you don’t really have room for a hefty toolbox, install a small magnetic strip to the wall or anywhere you see fit. Save precious time digging through the toolbox to find that little drill bit and display everything you need right in front of you. A magnetic tool strip is the perfect way to keep screwdrivers, drill bits, wrenches, nails, etc. at arms reach. The weather is finally starting to warm, making now a perfect time to tackle that garage. With summer soon approaching, it is crucial to make sure the garage is free of clutter and ready for all the kids’ activities. Make it this weekend’s project to take the “dis” out of disorganized and salvage your space. Organizing the garage will leave you feeling refreshed and enable you to finally use the space the way you want to. Feeling inspired? You now have plenty of tips on how to organize your garage, so go ahead and get started on improving your garage now!